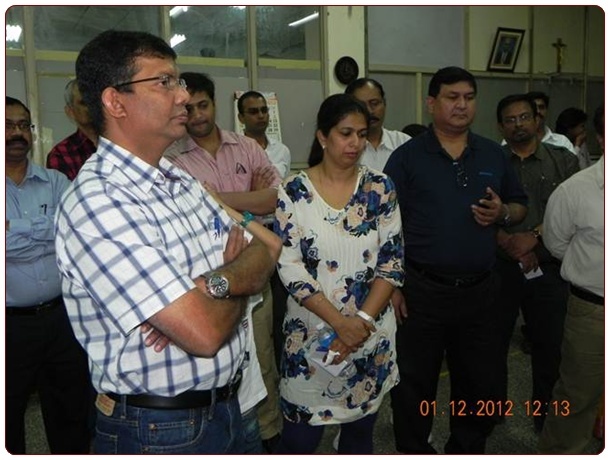 Bangalore, 09 Dec 2012: The industrial visit by members of Kanara Entrepreneurs, Bangalore to the operational facilities of Brilliant Printers Pvt. Ltd., at Doddaballapur, saw 41 people, comprising of KE members & their families, capture the advantage of the opportunity. The host’s - Brilliant Printers Pvt. 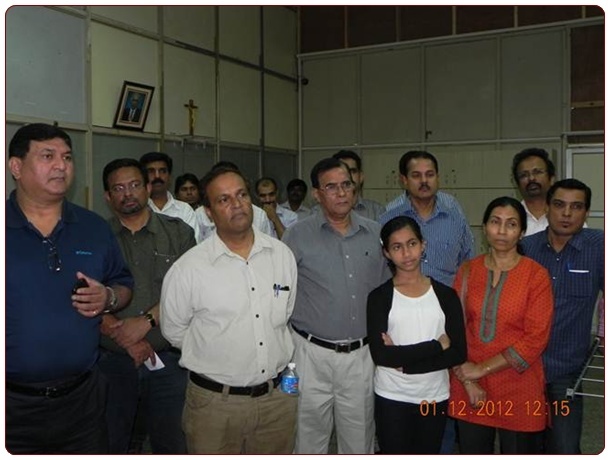 Ltd, - management team -Peter Anil Rego (Managing Director), Paul Sunil Rego (Director), Thomas Manil Rego (Director) & Naveen Rodrigues (Head - Operations), who are all, incidentally KE members - welcomed the visitors with refreshments. 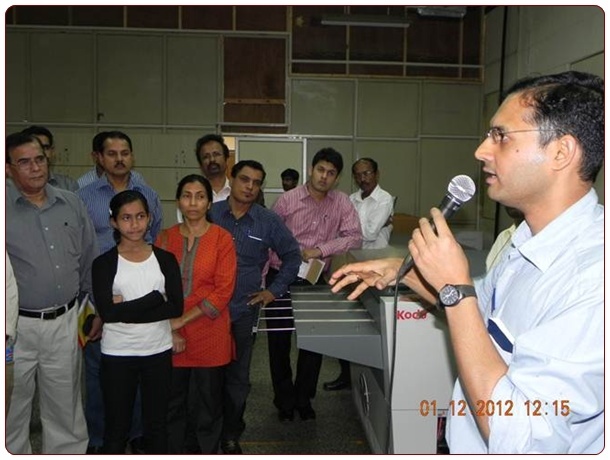 The guests were then led on a tour of the world-class printing facilities. Brilliant Printers (BPPL) was founded in 1970 by the late A V Rego with a small capital and one staff. Today, over 300 people are employed and run its operations in a sprawling 84,000 sq ft facility. They print and export to more than 70 countries. 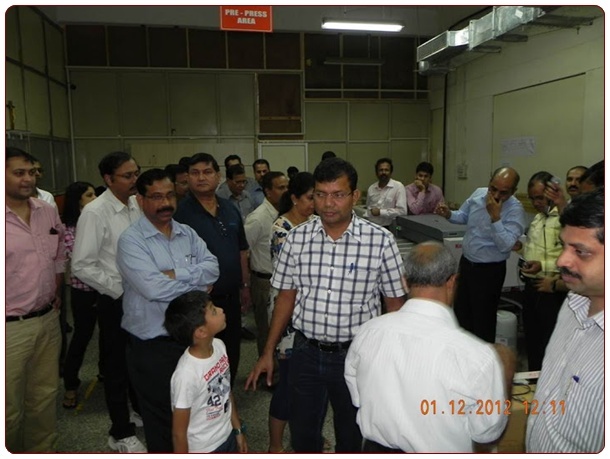 The visitors were treated to incredible sights of a single operation that converts blank rolls of paper into quality printed & finished products of various sizes, such as books, etc. 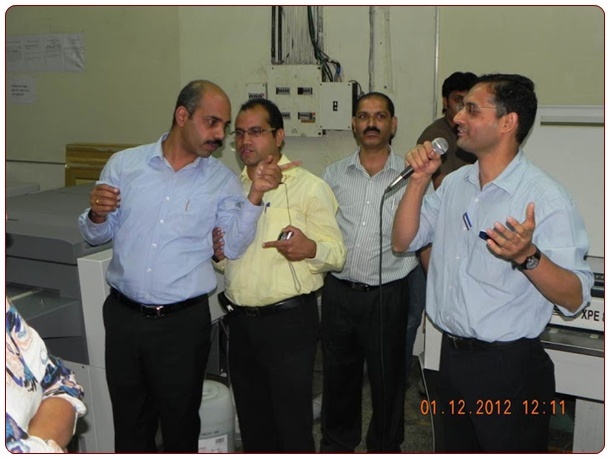 Besides helping the guests to understand the complex machinery in operation, the hosts explained the various stages involved in the pre-press, press & finishing process, of international quality and operational safety standards, technical aspects such as gilding, foiling, edging, spot UV operations etc. At the end of a nearly two hours long visit, the guests were treated to a sumptuous lunch. Mr Robinson D’Souza, President – KE thanked the hosts & voiced his feelings about how the company serves as a shining example of a successful entrepreneurial venture. He encouraged fellow KE members to take inspiration from late A. V. Rego’s triumphant enterprise – BPPL., to dare to dream big and achieve great things in their entrepreneurial lives.